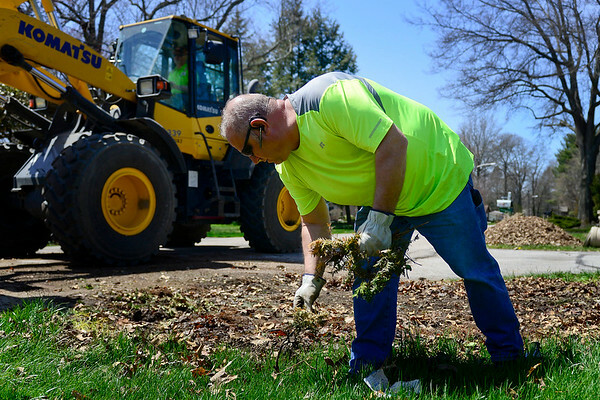 Mike Hrynewycz with the Goshen Street Department picks up leftover twigs while cleaning up brush Monday afternoon on Carter Road in Goshen. Monday was the first day for brush and leaf pickup this Spring. Crews will be passing through the city until collection is completed Friday, May 11.